The Devil of Hell’s Kitchen is currently rocking Netflix following the release of Daredevil season two this past weekend. But before Marvel got the rights back to Matt Murdock, Fox staged a last-gasp attempt to revive the character following their disastrous 2003 film... and featured an R-rated superhero long before Deadpool. 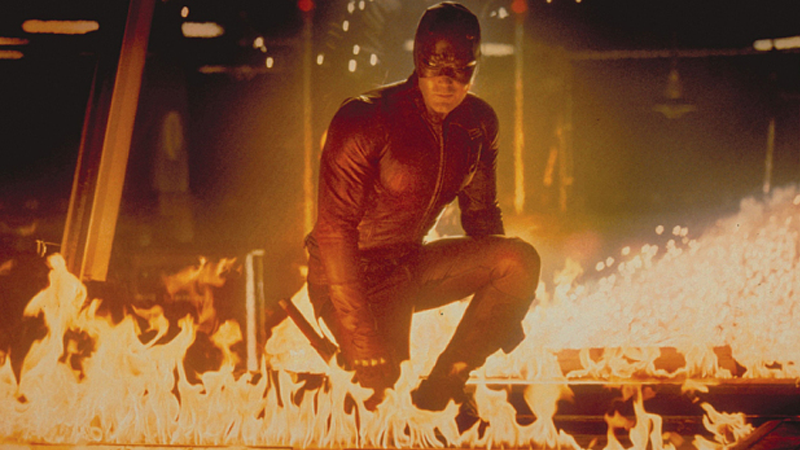 We’ve previously featured the sizzle reel director Joe Carnahan ‘leaked’ to the internet four years ago (that’s it below), but there’s renewed talk of Fox’s abandoned, darker Daredevil in the wake of Netflix’s successful reboot. Given the go ahead when the deadline for Daredevil’s rights were due to revert back to Marvel (as is the case with Fantastic Four, Fox has to periodically make movies featuring the characters they own, otherwise their rights automatically return to Marvel), Carnahan wanted to deliver a Daredevil that was violent, bloody, and uncompromising—and unrestricted by the family-friendly superhero approach that was dominating the superhero movie space at the time. If you’re wondering why Fox balked, it wasn’t because of the risqué content. The studio simply ran out of time, according to Carnahan. And thus Daredevil returned to Marvel. If you spent the past weekend bingeing on 13 hours of vigilante violence, well, you know how the rest of that story went.